Dr. Muhammad graduated from the University of Pennsylvania with a B.A. in Economics in 1993. 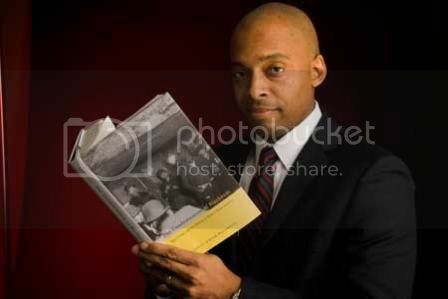 After working at Deloitte & Touche LLP, he received his Ph.D. in American History from Rutgers University in 2004, specializing in 20th-century U.S. and African-American history. He spent two years as an Andrew W. Mellon Postdoctoral Fellow at the Vera Institute of Justice, a nonprofit criminal justice reform agency in New York City, before joining the faculty of Indiana University. He is the award-winning author of, The Condemnation of Blackness: Race, Crime, and the Making of Modern Urban America. He has been an Associate Editor of the Journal of American History, and is on the Editorial Board of Transition Magazine. A great-grandson of Elijah Muhammad, he has deep roots in Black history. His father is the noted Pulitzer Prize-winning New York Times photographer Ozier Muhammad. Dr. Muhammad is married to Stephanie Lawson-Muhammad, and they have three children. In addition to Dr. Muhammad, fashion designer Tory Burch and Mr. Thomas K. Whitford, vice chairman of The PNC Financial Services Group, were elected as new members of the Board. To learn more about the Barnes Foundation, current exhibitions, and its Art and Aesthetics programs that engages a diverse array of audiences, visit www.barnesfoundation.org.